The Russian Foreign Ministry has sharply reacted to the “illegal and absurd” blocking of a Russian diplomatic transaction by US bank JPMorgan Chase due to “sanctions.” Moscow warned that such moves might backfire for the US diplomatic mission in Russia. 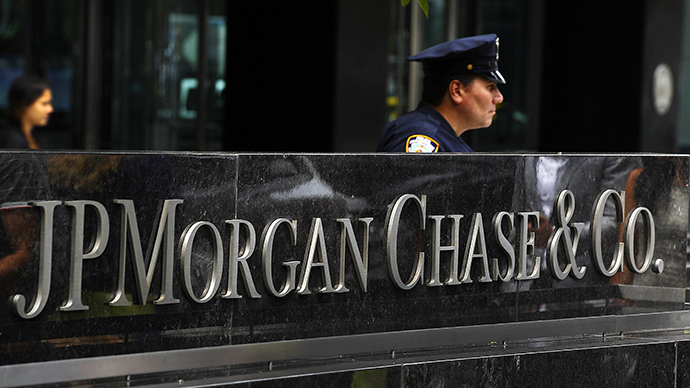 JPMorgan Chase blocked a money transfer on behalf of the Russian Embassy in Kazakhstan to insurance company SOGAZ, Russian Foreign Ministry spokesman Aleksandr Lukashevich said in a Tuesday statement. The bank cited sanctions imposed by the US government against some Russian politicians and companies in connection with the situation in Ukraine, he said. “If by this the American financial company wanted to 'score points' in the eyes of the White House, it has obviously overplayed. Washington has to understand: any hostile action towards the Russian diplomatic mission not only represents a breach of the international law, but is also fraught with counter measures, which will inevitably affect the work of the US Embassy and consulates-general in Russia,” Lukashevich stressed. Thus, instead of flattering Washington, the bank did the Obama administration a “disservice,” the ministry official said. Although SOGAZ was not mentioned in Washington’s sanctions against Russia, 51 percent of its shares used to be controlled by Rossiya Bank, owned by Russian businessman Yury Kovalchuk, who was included on the list. However, on March 11, SOGAZ regained its controlling stake after buying shares from the bank’s subsidiary, Abros.